According to a source familiar with Huawei's operations, the Chinese smartphone and telecoms giant's device division has been having a very difficult time attempting to break into the fickle US market. Not only that, but rumors that Huawei was pegged as the manufacturer of Google's 2016 smartphone portfolio were, at one point, true: negotiations between Huawei and Google broke down when the latter demanded no partner logos be on its new smartphones. But the drama runs even deeper than that, if our source is to be believed, starting with the Nexus program. In 2015, Huawei entered into a partnership with Google to produce the Nexus 6P. You may have noticed the 5X and 6P were announced and marketed a bit more boldly than previous Nexus smartphones. They had special warranties, fairly large advertising campaigns (for Nexus devices), and Google even offered device financing for them on its Project Fi MVNO. I had taken this, in light of revelations about the upcoming Pixel phones, to mean that the 5X and 6P were something of a ramp-up to the more fully-developed Pixel project. A market test of sorts. Our source, however, says that Huawei and Google's partnership on the Nexus 6P was never fully realized, and that it was actually far more ambitious than what we ended up with. Initially, Google allegedly sold Huawei on the idea that the Nexus 6P would be stocked and sold by all four major US carriers. It was Huawei's big chance to finally be on store shelves in a huge number of retailers across the United States, and no doubt was a major reason they were so invested in the project. In particular, Huawei wanted its smartphones on Verizon - it's not exactly clear why, apart from the obvious (Verizon is the largest or 2nd largest US carrier, depending on the quarter). Google and Huawei would also embark on a massive, multi-hundred-million dollar ad campaign for the Nexus 6P, with an agreement that each company would match the advertising dollars the other was willing to invest. But that never happened. Talks between Google and the carriers broke down (surprise!). The Nexus 6P and 5X were never sold by any major US network operator. In the end, Google demanded Google Store near-exclusivity in the US for the phones for a fixed period before allowing them to be sold on channels like Amazon, Best Buy, and B&H, limiting the devices' retail visibility. 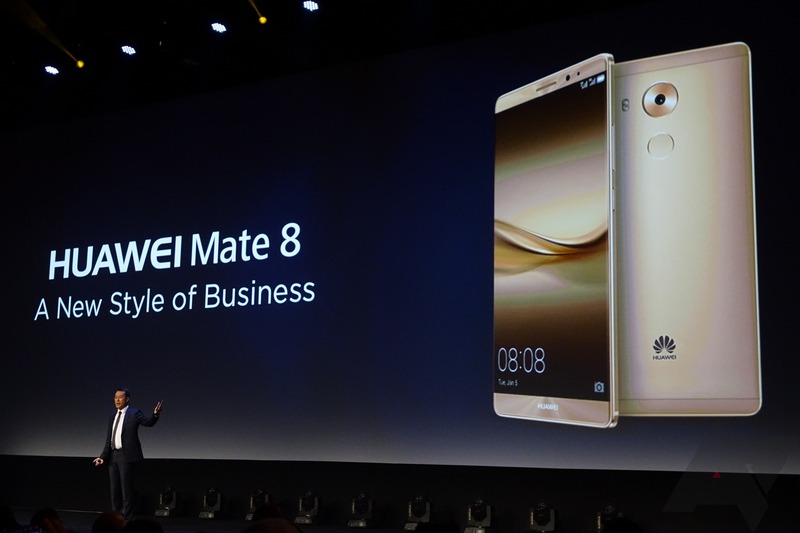 Huawei was, perhaps as a concession, allowed to sell the device on its own website at launch. But the grand Nexus 6P project never truly came to fruition, and it seemed the plan to get a Google phone back in a carrier store was put on the back burner in 2015. Fast-forward shortly after the Nexus 5X and 6P launched, and Google began talks with Huawei to produce its 2016 smartphone portfolio - allegedly up to three phones, not just the two we ended up with. It's unclear if they would have been branded Pixel, Nexus, or both (e.g., two Pixels and a cheaper Nexus). Google, though, set a hard rule for the partnership: Huawei would be relegated to a manufacturing role, producing phones with Google branding. The Huawei logo and name would be featured nowhere on the devices' exteriors or in their marketing, much like the Pixel phones built by HTC that we'll see unveiled tomorrow. According to our source, word spread inside Huawei quickly that global CEO Richard Yu himself ended negotiations with Google right then and there. Huawei was off the table for the new smartphones. Google's "plan B" - HTC - ended up winning the contract. But our source claims the great irony of this is that Huawei ended up passing on a chance to finally get one of its smartphones in a Verizon store (the Pixels will be sold by Verizon), even if it didn't have the Huawei logo or mention of Huawei in its marketing. It could have, theoretically, set the stage for Huawei to work with Verizon in the future, however. In the interim, Huawei's US division hasn't gained significant market traction. Despite achieving critical success [with Google] with the Nexus 6P last year, the company's smartphone efforts in America have all basically fizzled. For example, the Huawei GX8 (based closely on the Honor 5X) moved what amounted to essentially no units at all. Even non-smartphone products haven't done well: our source described the company's Surface competitor, MateBook, as an "absolute flop," despite the fact that Huawei still allegedly wants to produce two or three generations of the devices. Only the budget brand, Honor, has seen appreciable sales, and those were described as just "OK" for the lackluster but inexpensive 5X, while the new Honor 8 apparently debuted in the US with momentum well below expectations. I say that because just a month after the Honor 8 launched, Huawei sacked essentially the entire Honor US team according to our source - an event that, as far as we know, has not been communicated publicly. At IFA, Huawei did suggest that the Huawei Device US team had undergone significant changes, with the US CEO ousted and much of the Western team having since been removed, as well. What employees remain are almost exclusively Chinese expatriates - people largely unfamiliar with the American market that Huawei has struggled so badly in. Our source intimated that Huawei's future US strategy is, at best, in flux. The company's P9 smartphone never officially went on sale here, nor did its generally acclaimed Mate 8. A planned LTE version of the Huawei Watch has been pushed back pending Google's release of Android Wear 2.0, and rumors are swirling that Huawei may even be considering Tizen for future smartwatches (our source was unable to confirm this rumor). Huawei's next major product announcement is anticipated to be the new Mate 9, or whatever it's called, which many expect will be revealed next month at an event in Germany, once again suggesting that Huawei probably doesn't intend to push the device here in the US. Finally, our source suggested that, despite fallout resulting from the Nexus 6P and the lost Pixel deal, the relationship between Huawei and Google remains strong. The two companies continue to pursue strategic initiatives and products together (including that rumored tablet which, sadly, we've learned nothing new about), and Huawei is allegedly heavily invested in making its next-generation Kirin chipsets Daydream VR-friendly. Perhaps the most interesting tidbit, though? Our source claims that Huawei is one manufacturer currently being solicited by Google to produce a phone (i.e., Google has put a call out for bids to potential partners) - for the second half of 2017. A mid-range device, at that - suggesting maybe this phone won't be Pixel-branded. I hate to leave you all on a cliffhanger like that, but unfortunately, it's all we have for now. But if our previous leak regarding Google's 2017 plans is any indicator, next year is shaping up to be very, very interesting for Google and Android. We've reached out to Huawei for comment on this story and will update if we receive a reply.